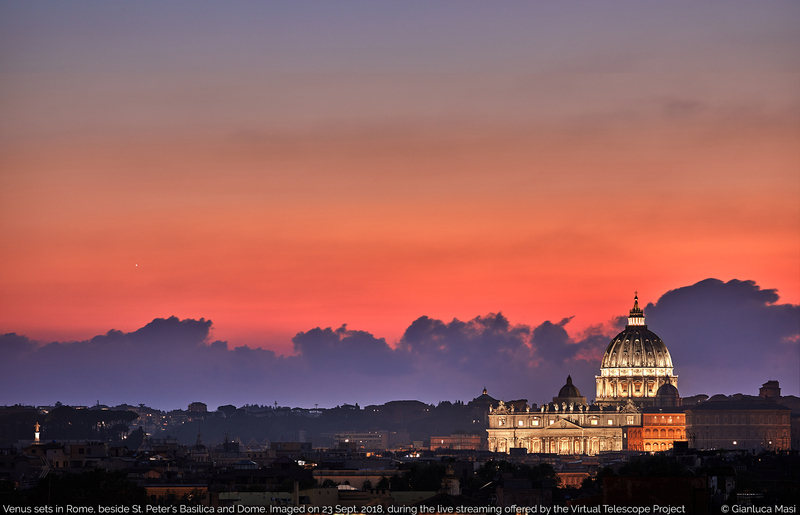 Planet Venus offered a stunning view at sunset, setting above Rome and its monuments. We shared the experience live, with the planet showing beside the St. Peter’s Basilica. We have been keeping an eye on planet Venus, while it is leaving the evening sky, ready to move to the morning one. These past days, Venus peaked in brightness and we absolutely wanted to share the unique view we have in Rome: here, the sunset is always a memorable experience and having such a bright object beside some of the most famous monuments worldwide is some kind of privilege. 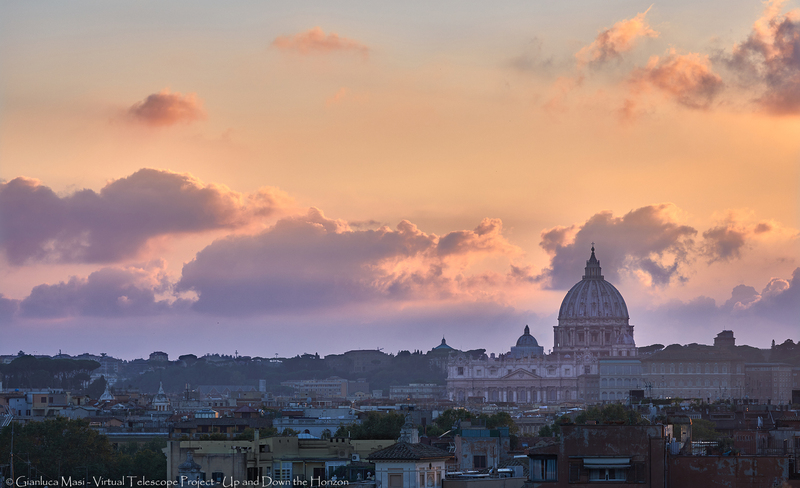 The image above brings to you the atmosphere we had there: colors where simply out of this world, with the legendary St. Peter’s Basilica standing out in the twilight. Venus, as a very bright dot of light, was very easy to see on the left. I must say that the show started well before we could see Venus. Soon after the sunset, the sight was already breathtaking, everything looked magic and unreal, as you can see below. Soon after sunset, while waiting for Venus, the view was amazing. We were happy to share all this live, via the Virtual Telescope Project. Bringing this unique beauty to the world is part of our mission and we are already working on new live, online events: stay tuned!